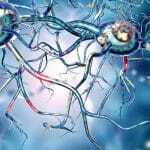 Parkinson’s disease is a progressive neurodegenerative disease that affects dopamine-producing neurons in the brain. The disease is characterized by a progressive loss of muscle control leading to bradykinesia (slow movement), rigidity, resting tremor, and postural instability. As symptoms worsen, it may be difficult to walk, talk, and perform simple tasks. Non-motor symptoms can include; anxiety, depression, psychosis, and dementia. It is estimated that 7- 10 million people worldwide suffer from Parkinson’s disease while 60,000 Americans are diagnosed with the disease every year. Diagnosing the disease early could help patients seek neuroprotective treatment earlier potentially slowing the progression of the disease. Recently scientists at Technion, the Israel Institute of Technology developed a new device that can detect Parkinson’s disease from a person’s breath. Researchers developed a breathing apparatus that detected differences between the exhaled breath of healthy patients and patients being treated for Parkinson’s disease. More recently the team of researchers published the results of a small trial evaluating the difference in the exhaled breath of 29 newly diagnosed patients who had not yet started any treatment for the illness. The results of the small trial were reported in July, in the Journal of ACS Chemical Neuroscience. 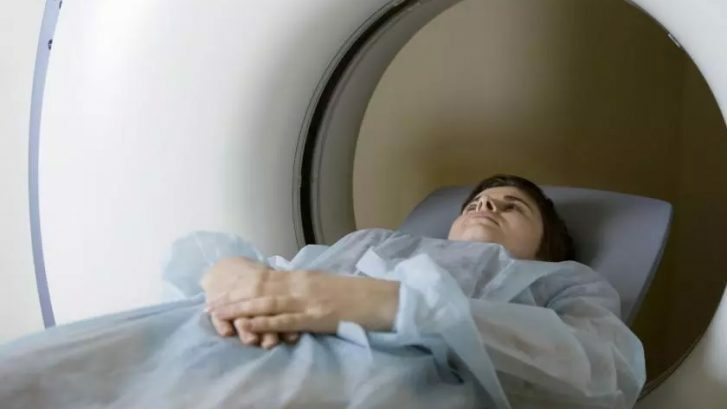 The scientists at Technion compared the results of the 29 newly diagnosed patients to 19 healthy control subjects similar in age and found the device was able to detect early Parkinson’s disease with 81% accuracy. These results are better than a diagnostic smell test and almost equivalent to an ultrasound brain scan. 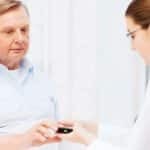 Researchers believe with some improvements this small device could potentially diagnose patients earlier and without the need of highly trained diagnostic specialists. For patients, this means the possibility of earlier neuroprotective treatment. Stem cell treatment for Parkinson’s disease at the Stem Cells Transplant Institute in Costa Rica, is designed to protect existing, and create new, dopamine producing neurons in the brain. Additionally, stem cells may release natural chemicals called cytokines which can induce differentiation of stem cells into dopamine producing neurons. Researchers and experts in stem cell replacement, at clinics such as the Stem Cells Transplant Institute in Costa Rica, have shown mesenchymal stem cells have the ability to repair and regenerate neurons in the brain, reduce levels of free radicals, improve synaptic connection from damaged neurons and regulate inflammation. It is not clear how mesenchymal stem cells perform these functions, but one theory is: injected stem cells are drawn to the injured area where they release trophic factors (molecules that support cell survival) that aid in repairing damaged cells. The trophic factors can suppress the local immune system, form new blood vessels, reduce levels of free radicals, stop the damage occurring to tissue, and increase the recruitment, retention, proliferations and differentiation of stem cells. Contact us today to learn more about the potential benefits of stem cell therapy. Finberg et al., Sensor Array for Detection of Early Stage Parkinson’s Disease before Medication. ACS Chem. Neurosci.,published online July 10, 2018; doi:10.1021/acscheumneuro.8b00245.